Anyone reading this site who isn't aware of the increasing popularity of personal blog websites has either been living under a rock or is, more likely, a little bit lost. However, what few of us English-speakers are likely to know is that our mother tongue is not the most commonly used by bloggers – it is, in fact, Japanese. Even though Japan's population is around 130 million – compared to almost three times that number who speak English as their first language – the country accounts for 37 per cent of all blogs. English comes next, at 36 per cent, with Chinese a distant third on just eight per cent. 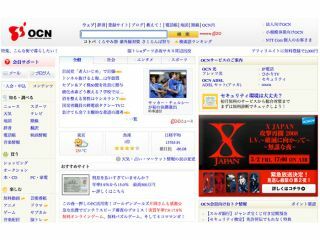 According to a recent Japanese government survey, around 20 per cent of the nation's 88 million internet users maintain their own blogs, combining for a total of 1.35 billion entries on 16.9 million sites. Only one-fifth of these sites receive updates at least once a month, with 31 per cent being simple online diaries, 26 per cent community sites and 25 per cent interest-themed blogs. One area that the report does not highlight, however, is the fact that the vast majority of Japanese users post new blog items from their mobile phones. One blogger we spoke to in Tokyo, Nao Okabe, explained why: "I always have my phone with me, so it's easy to send a photo and write something about what I've been doing." The 20-year-old law student also likes the immediacy of phone blogging: "I get instant updates on my phone when anyone writes a comment on my stuff and also when any of my friends publish something on their own sites. "I'm not going to wait to get home to my PC for that – I probably wouldn't bother in that case." That's a scenario we've been told many times by Japanese bloggers, which suggests that if Western phone networks are interested in increasing data traffic (and profits) they'd do well to make mobile blogging just as easy as it is in Japan.